David died as the result of an accident with a horse. His foot was crushed during an outing and despite the pain he persevered. Within a couple of days an infection had set in and by the time he was finally evacuated, he was in critical condition. He died at the hospital of a severe infection. Eventually we all become "buzzard chow". David just got there first. DA SOS teaches in several different environments, but it is best known for its courses in arid land and desert survival. 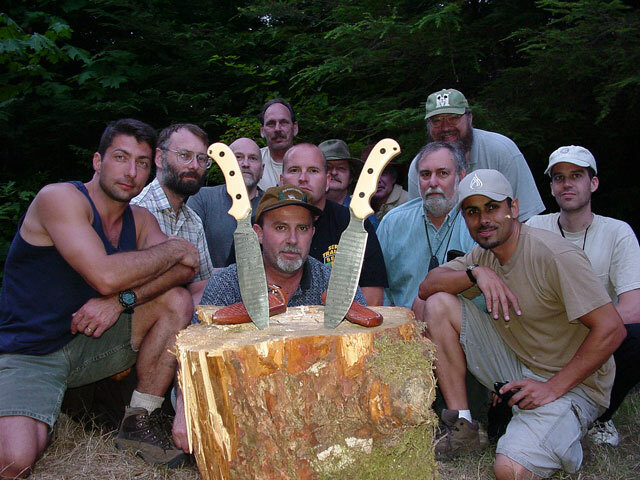 Called “the nation’s leading desert survival instructor” by Outside Magazine in 1999, David’s past clients have included the US Air Force, US Army, National Guard, US Customs Service, US Coast Guard, Outward Bound Instructors, National Parks Service, Mexican and Australian Park Rangers, and the tenth Canadian to summit Mount Everest. The main goal of DA SOS, however, is to teach anyone venturing into the wilderness to do so with safety and confidence. People from all walks of life have participated and learned from the courses. With course locations in the United States, Mexico, and Australia, DA SOS is recognized as a world leader in desert survival and has instructional capabilities in Spanish, French, and German. They can even set up training with camels with a handler speaking Arabic with a Texas accent! While the course hours are long and fast paced, they are also enlivened with David’s well known sense of humor. Survival is a serious subject, but it need not be taught without a few laughs. Customers often walk away thinking they received an “information overload” but the DA SOS philosophy is to give clients their money’s worth rather than have them thinking they could have just read a book. Speaking of books, David is also author of Desert Survival Skills from the University of Texas Press. Like his instruction, reviewers note the humor and personal anecdotes that are woven into the text. Even the Buzzard Cheater newsletter has a column called “David’s Weird Survival Tips.” One client, who had made a career in the US Navy teaching SERE (survival, evasion, resistance, and escape) said, “This is the funnest survival course I have ever been on.” The instruction, however, is far from mere entertainment. In 1998 The Odyssey Exploration Society chose DA SOS and its associate, The Texas Camel Corps, to train for a 700-mile camel trek in the Empty Quarter of Arabia. A memorial Blade Called the “Alloway” based on David’s design. Details in the Forum.